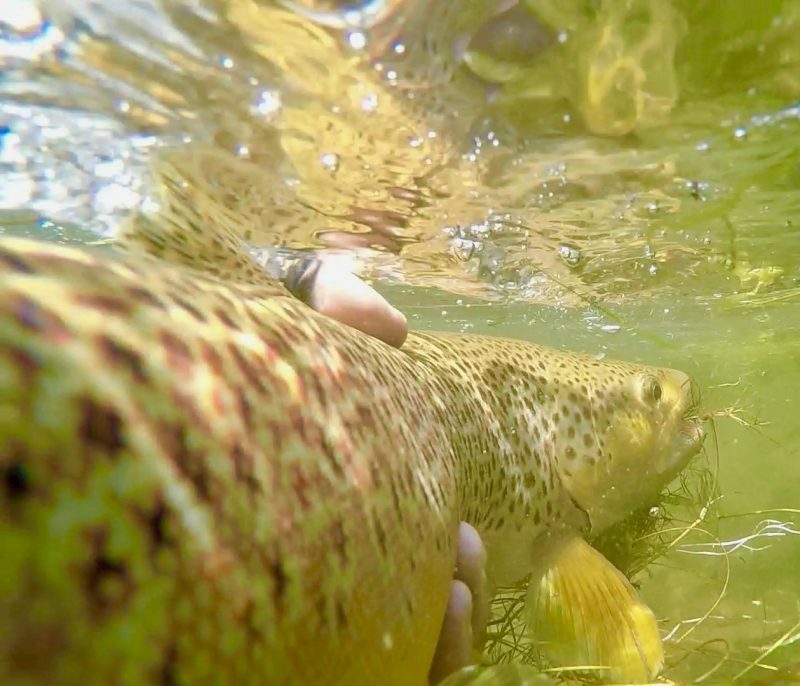 Fly fishing on the Missouri River in Montana continues to be solid. The tricos continue to linger throughout most of the river. Although every day can be a little bit of an adventure. Not shocking when the bugs don’t quite “achieve” like you would like them to in your stretch. Especially if the wind is already blowing a bit in the morning. But most days, there are plenty of bugs throughout the river to get some fish up. Don’t expect to see the same numbers of fish you were seeing just a couple weeks ago. The larger pods are pretty much a thing of the past now. But you will find some fish working together in the right spots. And certainly some singles sipping here and there. More than enough to make a day of it hunting up rising trout. In between sippers, the terrestrial game has been ok. Some days great, others… brutal kinda comes to mind? But stick with the program and you will be rewarded. And we have seen some very nice fish taken lately on these as well. Hoppers are working down low. Ants and beadles are better upstream. But you will get a random hopper eat up there too. For those wishing to nymph a little, the dry/dropper has been the program. Fish a big dry you can see, and hang a mayfly under it. The faster the water, the better. But you will see plenty of action on the dropper throughout the day. Some are hanging larger stuff too; zurtles, crawfish, etc. Seem to work well in the real quick water as well. We have been fortunate enough to continue to have quite a few carp trips lately. This has remained very very good. You will see a ton of fish in the shallows tailing and feeding. The right cast is usually rewarded. But be aware of the cooler mornings we are having lately. It’s been taking those fish just a little bit longer to warm up and slide into that really shallow water for us. Overall, the river is doing pretty well, for late August. Certainly better dry fly fishing than we had this time last year. So that is a huge plus. As the mornings remain cool, take your time getting out there. 9am is about right these days. You should be able to find fish up by then, most days. Jeff is up in AK for a couple of weeks, filming a video for northern pike. We will certainly share his exploits once we hear back. We are pretty sure he is way deep on the Yukon and “off the grid” for a little while. But stay tuned for some reports back, and hopefully plenty of pictures. Contact Us with any questions, for an up to the minute report or to book your Missouri River fishing trip or Carp fishing trip.